Olivia Prime is a cloud-based program with total operational mobility (OM). OM enables you to access Olivia from any location with Internet access. But we didn’t stop there! 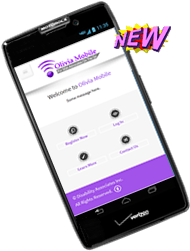 Your Olivia account also includes access to our exclusive Olivia Mobile Scheduler application for advocates on the go. Your at the airport and you meet someone who may be in need of your services. Exchanging case related information in public is a security risk. With your Olivia Scheduler, you can input a client’s basic contact data and automatically schedule a future interview. The Olivia Scheduler automatically sends an invitation to the client and verifies the client’s acceptance. You can return to your travels with the confidence that your lead is safely stored within your Olivia account. Enjoy unprecedented operational mobility by ordering your Olivia Subscription today!